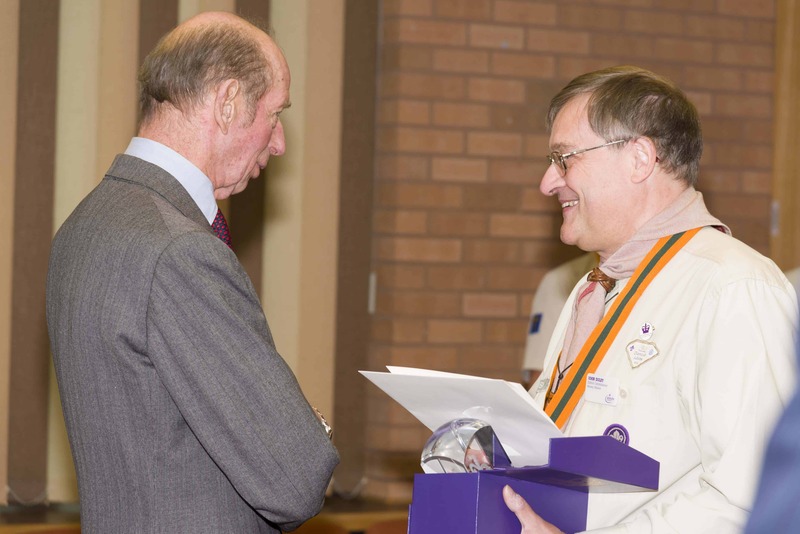 Mersey Weaver District Scouts (the Scout District which our group is part of) has been honoured with the Queen’s Award for Voluntary Service. The district was awarded with the honour, equivalent to the MBE and is the highest award that can be made to a voluntary group, on Saturday 2nd June 2012. This highly prestigious award has been made in recognition of the districts work in ‘helping young people achieve personal development skills through events and activities’. As a group which falls under the Mersey Weaver District Scouts ‘umbrella’, we have permission (as well as all other groups within the district) to use the award in the same way our district can – which includes displaying it on our website, and on our printed media. Mersey Weaver District were officially presented the Award in the form of a certificate signed by the Queen and a domed glass crystal on Thursday 1st November 2012 at a special event held at The Heath SOG, Runcorn which was attended by HRH The Duke of Kent. Mersey Weaver district was formed on the 1st January 2012 by the merger of North West Cheshire and Widnes Districts and the award recognises the contribution of the leaders and adults working with their local communities to provide a wide range of opportunities for young people to develop while enjoying the adventure of scouting. The Queen’s Award for Voluntary Service, also known as the The Queen’s Golden Jubilee Award for Voluntary Service by Groups in the Community is an annual award given to groups in the voluntary sector of the United Kingdom. Winning groups are announced in the London Gazette on 2 June each year, the anniversary of the coronation of Queen Elizabeth II. The award is equivalent to the MBE and is the highest award that can be made to a voluntary group. The award is managed by the Cabinet Office. The award scheme was announced by The Queen on 30 April 2002, in celebration of the Golden Jubilee of Elizabeth II, as part of her Golden Jubilee speech to the House of Lords and House of Commons. The first awards were made in 2003.